The IDF said Thursday that overnight soldiers had seized NIS 48,000 ($13,500) that had been collected to rebuild the home of Morad Badar Abdallah Adias, who murdered Dafna Meir, Hy”d, in January 2016, in front of her home in Otniel. The Adias home was demolished after the attack, as part of the punishment leveled at the family of the 16-year-old terrorist. Three of Meir’s six children were home at the time of the stabbing. One, a four-year-old, witnessed the entire incident; two older children hid in an inside room. The screams of one apparently kept the Arab terrorist from entering the house. Security camera images clearly show Adias hiding behind a bush after the attack and then running away. IDF soldiers searched for him in local Arab villages throughout the night. He was tracked down two days after the killing, and arrested. Security forces seized the cash, which had been given to the family by Hamas. Soldiers also seized funds from a Chevron-based “charity” that the army said collected money for distribution to the families of terrorists. Several thousand shekels were seized in the raid. 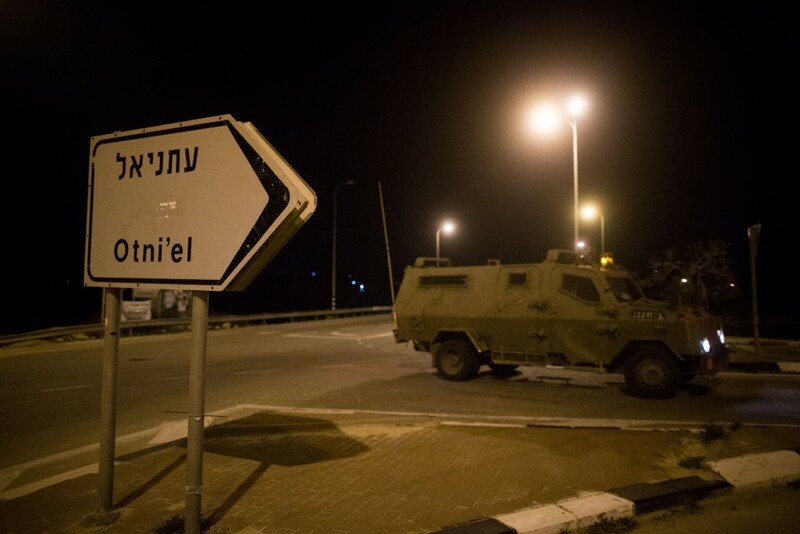 Overnight Wednesday, security officials said they arrested eight wanted security suspects in other areas of Yehudah and Shomron. The suspects were wanted for participating in rioting and throwing stones and firebombs that endangered Israeli civilians and IDF soldiers. Several of the suspects were also charged with belonging to Hamas. All were being questioned on their activities by security forces.